We have plenty of these Harp’n’Bones shirts for sale in all sizes from small to XL. To be sure you get exactly the size you want use the Contact Us page and we’ll get back to you. Great quality green print on Gidan black shirts. A bundle of stickers costs only £3 or £6 Europe. For that you will get a minimum 60 stickers! All the money we raise goes into the stickers so if you like the work we do and would like to make a donation then we ain’t gonna stop you! 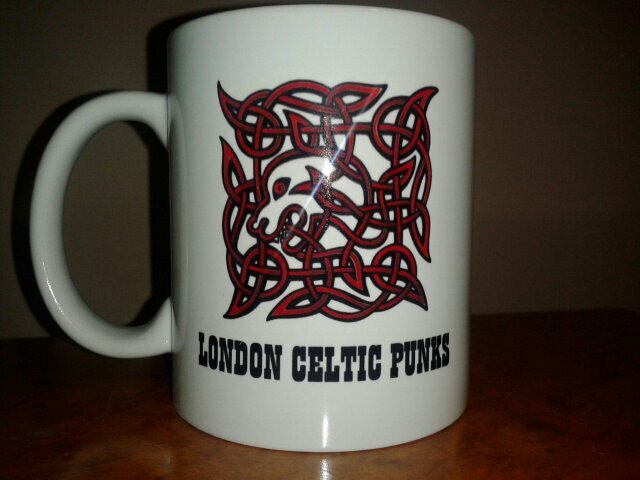 we’ve also a wee supply of really nice London Celtic Punks mugs available, and these are proper working man (…and woman) sized not the wee poncey ones you get with Easter eggs! they’re just £6 plus postage! some do so let us know which one! Do you guys have any Rumjacks or Dropkick Murphy T Shirts? Can you email me if you do? Afraid not Gerry. Though we did all buy the same tshirt when The Rumjacks played in town in August and we will look a right set of numpties the day we all wear them at the same time! I wanna buy a t shirt. Is it PayPal only or can I do a debit card payment? 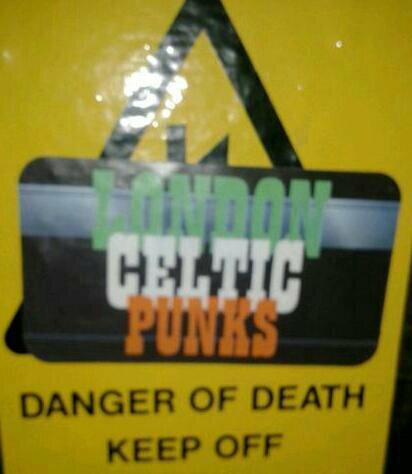 cheers Ciarán, email us at londoncelticpunks@hotmail.co.uk with which shirt and size and we’ll check availability for you.